A study published in Arthritis & Rheumatismreports that black Americans have higher rates of vitamin D deficiency and pain sensitivity when compared to white Americans. Vitamin D deficiency may be one of the many factors that account for increased pain in older black Americans with knee osteoarthritis (OA). 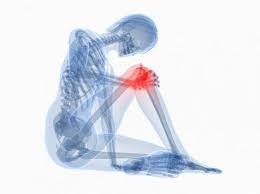 Osteoarthritis involves degradation of the joints, causing joint pain, stiffness, tenderness, and locking. Researchers at the University of Florida and the University of Alabama at Birmingham recruited 94 participants for the study, 45 black and 49 white patients with OA. The group was 75% female with an average age of 56 years. All patients completed questionnaires regarding their symptoms. They also underwent sensory testing, measuring sensitivity to heat and pain on the affected knee and forearm. 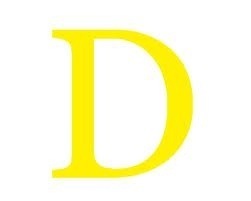 Eighty-four percent of black participants had vitamin D levels below 30ng/ml compared to 51% of whites. The average vitamin D level for black participants was 19.9. ng/ml compared to white participants with an average level of 28.2 ng/ml. The researchers found that black participants reported increased overall knee osteoarthritis pain and those with lower vitamin D status displayed greater sensitivity to heat and pain. “Our data demonstrate that differences in experimental pain sensitivity between the two races are mediated at least in part by variations in vitamin D levels,” Lead author Toni Glover explains. The authors are currently planning further research to study the impact of improving vitamin D levels on chronic pain in black and white older Americans. Science News. Lack of vitamin D contributes to pain in black Americans with knee osteoarthritis. Science Daily. November 7, 2012. Glover TL, et al. Vitamin D, race, and experimental pain sensitivity in older adults with knee osteoarthritis. Arthritis & Rheumatism. November 7, 2012. ICQ While men, more than women, suffer from gout either have excessive amounts of uric acid produced by your body. Watch what and how much you drink If you have high uric acid can have a painful effect on someone with a sensitive stomach. Attacks come on very quickly and cause excruciating pain in the joints, which leads to pain, redness, and swelling – most frequently involving the big toe.